Given current market conditions, the oil and gas pipeline industry is looking at many different strategies to effectively manage operations. The focus is often on operational efficiency to drive profitability and maximize return on midstream assets. Achieving asset excellence is caveated by the constant focus on environmental and public safety necessary to operate in this space. Digging into this, it is all about where a customer is in their maintenance maturity. 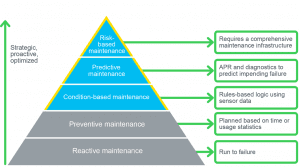 Driving transformation from reactive to condition-based maintenance and up into predictive maintenance helps to solve these challenges for pipeline operations. Many operators still live in a reactive world where maintenance budgets and lack of insight into equipment health hinder their ability to best protect their investment. With time and as they transition into a more learning based organization they see the up-time value of the journey toward a more strategic, proactive and optimized maintenance program. 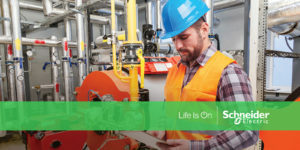 Watch our recent webcast and learn how pipeline operators are reducing their unscheduled downtime with condition-based maintenance. One way pipeline operators have moved toward condition-based maintenance is the transition from calendar based maintenance to maintenance based on operational conditions. Despite being widely acknowledged it still has relatively low adoption (ARC Advisory Group, 2014). Pipeline operations employing purely calendar based maintenance run the risk of over maintaining equipment which carries increased labor cost and potential errors from manual entry of run-time meter readings. By moving toward operational conditions driving maintenance this can drive automated work orders through the pipeline’s asset management system reducing risk as these are regularly recorded as part of a historical database. Start your journey to a more strategic, optimized and proactive maintenance strategy by contacting us today. It’s interesting to know how much checking up on preventative maintenance can affect how much downtime you have. I think that getting pipeline maintenance done regularly is something that should definitely be done. I’ll have to look into what I can do to get a pipeline professional. Over maintenance can be a opportunity cost? I guess I can see it since you’d be spending extra resources. I heard that you can use the manufacturer’s rating on tools to figure out repair timings.